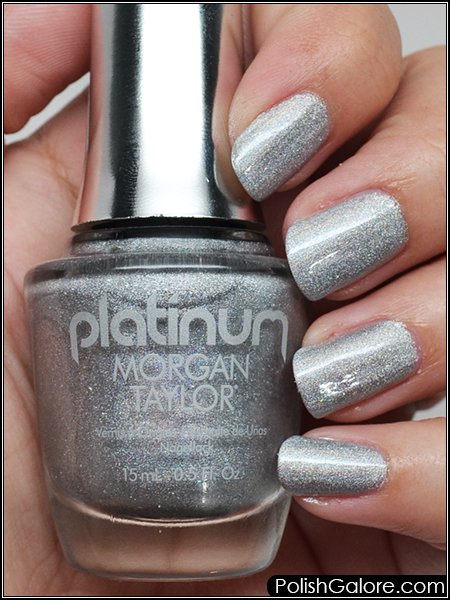 I used Morgan Taylor ReactMax Optical Brightener for my base coat, 3 coats of polish and finished with Glisten & Glow top coat. This polish was slightly disappointing in its formula and was a little spotty with my first two coats. 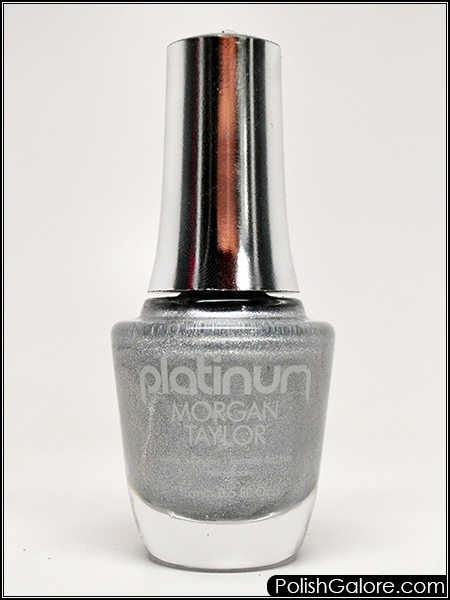 It did even itself out with the third coat but I was hoping for more pigment like I'm used to with Morgan Taylor. 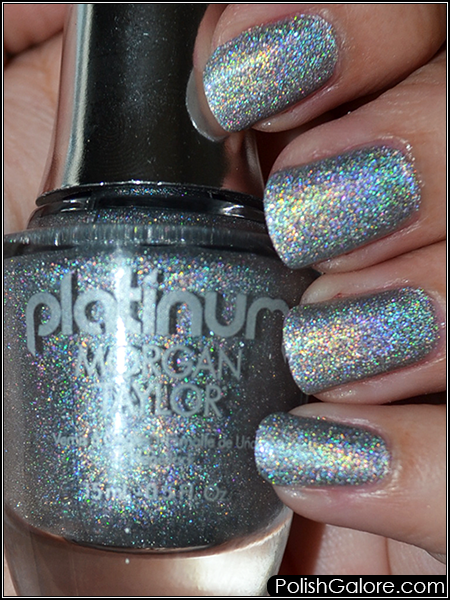 Nope, not a metallic - just a scattered holo. I really wanted for this to be HOLO, like EYE BLINDING but it's just not in most lights. Now at least in my flash, it comes alive. It has a bit of a blue tint with it but you can see that rainbow goodness. And we all know how often people show their nails with their camera flash hovering above. (Semi serious - I've definitely told people they needed to look at my nails under my flash before).